I love functional training. I use it with all of my clients, in different ways. Because your body works as a system, not in isolation. There’s a place for isolation exercises like bicep curls and calf raises, but when it comes down to it, are you trying to develop ripped calves or are you trying to develop an explosive jump. Most people work out because they want to do something with their bodies, like out-jump, out-run, or out-last the competition. If you’re trying to develop your body to work effectively as a system, functional training is the answer. Even if your goal isn’t athletic performance and you just want to move more effectively, functional training is important. My hands down favorite tool for functional training is the TRX Suspension Trainer. 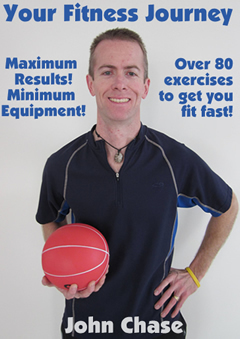 You can use it for literaly hundreds of different exercises and get an amazing workout using just your own bodyweight. With every exercise, you’re training your core to stabilize your body as well as working the prime mover muscles to perform the exercise. As an added bonus, you can get that workout done in a shorter time because you don’t have to wander all over the gym switching weight plates, machines, etc. I use it with grandmothers and I use it with athletes. Just a few small adjustments with your body position and each both the grandmother and the athlete get an equally effective workout. 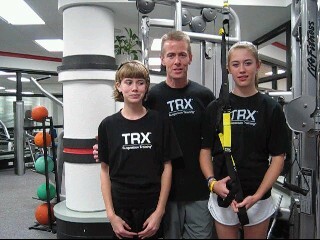 Click here to get your TRX today! Here’s a video with just a few examples of exercises you can do with the TRX Suspension Trainer. Click this video to see the TRX Suspension Trainer in action!